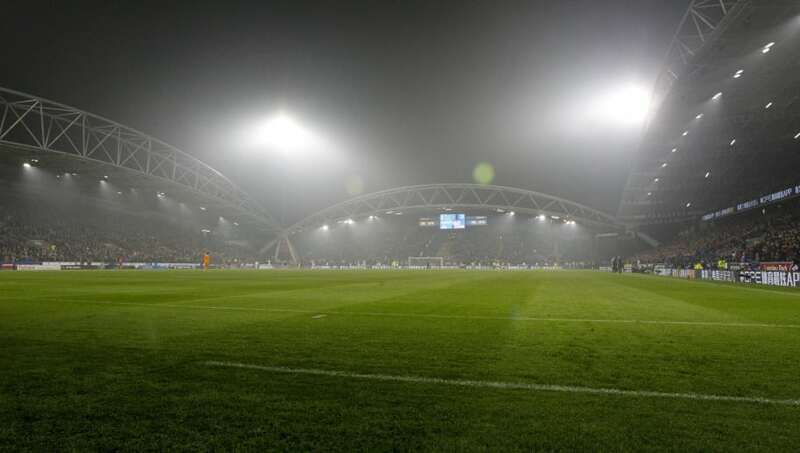 Huddersfield Town host West Ham United at the John Smith's Stadium on Saturday. Both sides have had poor starts to the season, but are coming off the back of a win in their previous fixtures. ​Huddersfield will want to put distance between themselves and the bottom of the table, having just escaped with victory against Fulham. However, the Terriers may find West Ham to be a more formidable opponent, with the London side having done the double over them last season. ​West Ham are starting a run of favourable fixtures over the next few weeks and will want to build a winning vein of form. They will look for a repeat performance of their impressive 4-2 win over ​Burnley last week. Here's a look at 90min's preview for the fixture. West Ham are without several key first team players out through injury and suspension. Manuel Lanzini, Andy Carroll, Jack Wilshere, Andriy Yarmolenko, Winston Reid and Carlos Sanchez are all out through injury. Mark Noble ​is serving the final game of his three-match ban following his red card against Leicester, whilst Pedro Obiang is back after playing 60 minutes against Burnley. ​Huddersfield Town almost have a full squad with only Danny Williams out injured. They will also be without the suspended Phillip Billing, who has started every game this season, but picked up a fifth yellow card against ​Fulham. Huddersfield and West Ham have met 41 times in their long history. However, the two sides have only met twice in the 21st century, being the two league fixtures the sides played last season. West Ham enjoyed victory on both occasions winning 4-1 and 2-0. ​Marko Arnautovic and Pedro Obiang are the only scorers from the two games that are likely to feature. The Hammers have won four of the last five games between the two sides, but over the course of history Huddersfield have been the more successful club, winning 22 out of 41, compared to West Ham's 12 wins. Seven have ended in a draw. Both Huddersfield and West Ham are in a slight rut of form at the moment, but both sides have won their most recent league game and have a relatively good run of fixtures ahead of them. Huddersfield moved off the bottom of the table with their 1-0 win over Fulham last Monday. The Terriers have struggled for goals again this season, having scored just five goals from 11 games, the lowest in the Premier League. However, they did just break their home goal-scoring drought of 659 minutes against Fulham and will have confidence going into the weekend. West Ham have had a very inconsistent start to their season but have looked a better side in recent weeks, creating many more chances and goals than their opponents. Their 4-2 win over Burnley was their first win in five games, and they will be looking to move up the table with an easier run of fixtures coming over the next few months, bar a visit from ​Manchester City. Huddersfield have scored just twice in their last five Premier League fixtures and are struggling to create and convert their chances in front of goal. However, the Hammers haven't kept a clean sheet in the Premier League since their 0-0 draw with ​Chelsea in September. West Ham will have a slightly patched up midfield due to the absence of several key players, where Huddersfield will look to exploit. However, with the dangerous attacking line of Arnautovic, Felipe Anderson and Grady Diangana linking up well, will cause problems for Huddersfield defensively.